Our Centormeter BT serie, a mobile station torque analyzer, allows you to calibrate and check all of your measuring tools: torque wrenches, torque screwdriver, electric screwdriver, air screwdriver, torque gauges, etc. Safely ensures periodically your tool integrity and reliability in your facility, by controlling their torques with a torque analyzer. The Centormeter BT has the same features as the CT version. Its metal housing makes it robust and ensures an easy reading when placed on a table or rolling consoles. It retains the advantage of a portable version, operating on batteries and thanks to its small footprint. The torque sensors are available from 0.6Nm to 600Nm in order to cover all types of torque measuring tools. Calibrate and audit all your torque tools without compromise. 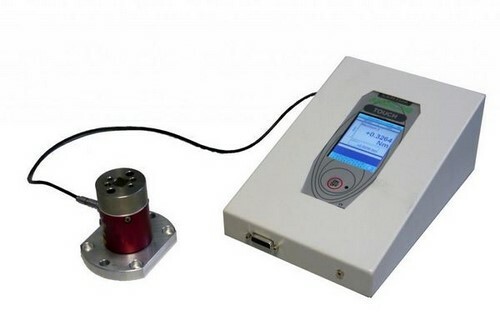 The Centormeter BT torque analyzer is dedicated to measure the applied torque by your torque tools. Simple to operate: The torque tool is inserted into the sensor square output. The measurement is displayed in real time. Track for all torque wrenches or dial tools, type which displays live value, torque as it is being applied to the sensor. First Peack for click type torque tools, which records the first peak of torque experienced by the sensor.